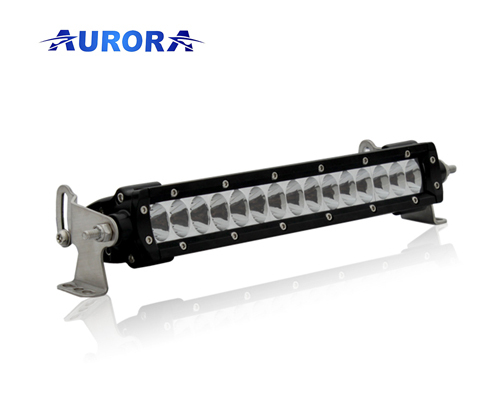 Aurora dual row light bars are built with a dual row of stacked LEDs in a very solid aluminum housing featuring an impact resistant Lexan lens. The housing includes an oversized, ribbed heat sink to ensure cool operation and long life. 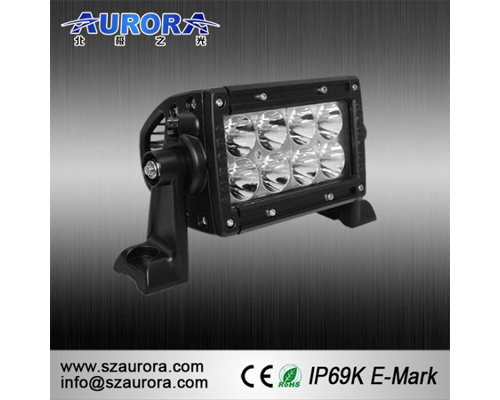 These come in 7 sizes including 4, 6, 10, 20, 30, 40, and 50 inch utilizing either 3 watt or 5 watt LEDs. 4 inch light bars will have the option of either spot or flood beam light pattern, while all other sizes will include combo beam pattern. Included with these light bars are 2 aluminum mounting brackets with 360-degree mounting swivel, mounting hardware, and a completely assembled wiring harness with lighted rocker switch for easy installation.